THE HAGUE: Stormy weather matched the mood in the Netherlands on Thursday after the country's penalty shootout defeat by Argentina in the World Cup semi-final. Bars and public viewing spaces quickly emptied after Argentina's final penalty kick beat Dutch keeper Jasper Cillessen to put Lionel Messi's team in Sunday's final. "I'm really disappointed. It was long and boring, especially compared to last night," said Maarten, a 34-year-old fan in a packed bar in The Hague. Germany thrashed hosts Brazil in a 7-1 game to set itself up for a final against Argentina on Sunday. "I thought there was a chance once or twice to score through (striker) Arjen Robben," said Martin, wearing an orange jacket and a Dutch flag painted on his cheeks. "To lose on penalties goals is heart-breaking," he added. Bad weather put a damper on attendance at public screenings of the match. 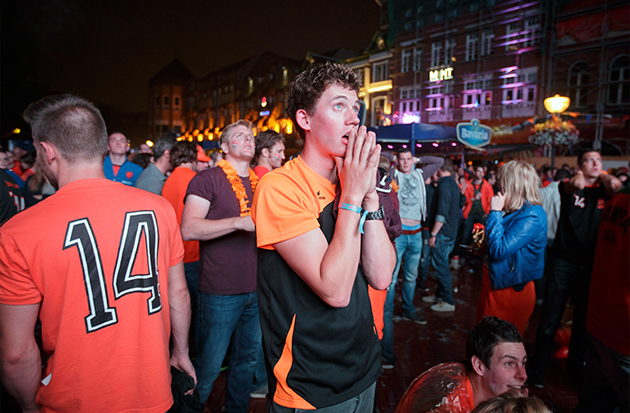 In Amsterdam, only about 1,000 people turned up at a stadium where 30,000 fans were expected. In the northern city of Groningen, a few thousand fans drifted home shortly after the game. 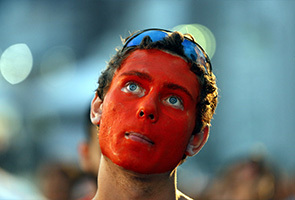 "I think I'm going to the city centre to have a drink to forget," one Amsterdam fan said shortly after the match. But others were more optimistic: "before being too scathing, we've come this far. It's still good," said Frans, 40. Many people watched the game at home with their families, including Niels, 29, who hosted 10 fans at his apartment in the central Dutch city of Utrecht. "It's a bit of a tradition," he told AFP. 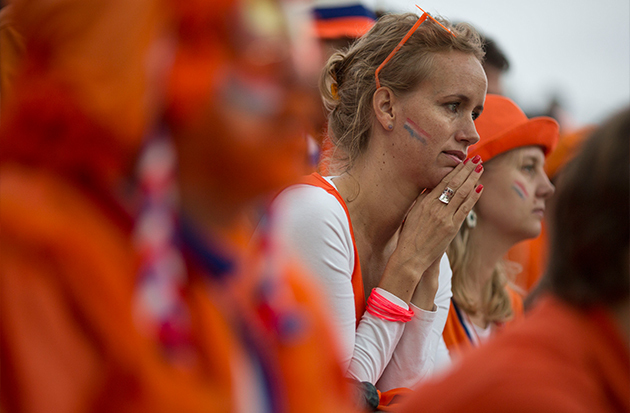 But Amsterdam fan Jelle, 32, was inconsolable: "we were stronger than the Argentinians, we played better," she said. Across the Netherlands, meetings, music concerts and theatre performances were suspended so people could watch the game -- with even Dutch national coach Louis van Gaal urging parents to let their children stay up and watch. 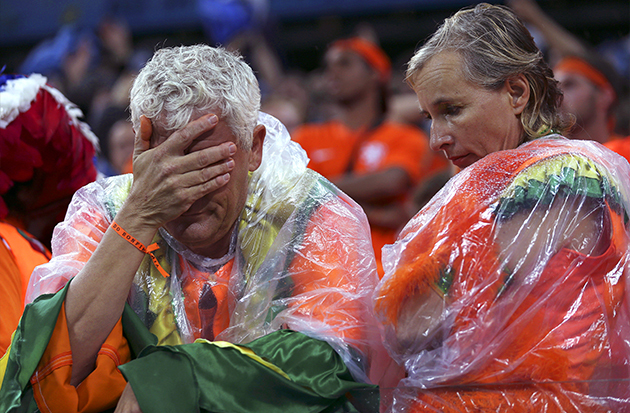 It may have turned out a disappointment in the end for fans, but Dutch football paraphernalia like orange hats and shirts will go into the closet ready for the next time.